3 km of new haul road for ultra-class trucks. 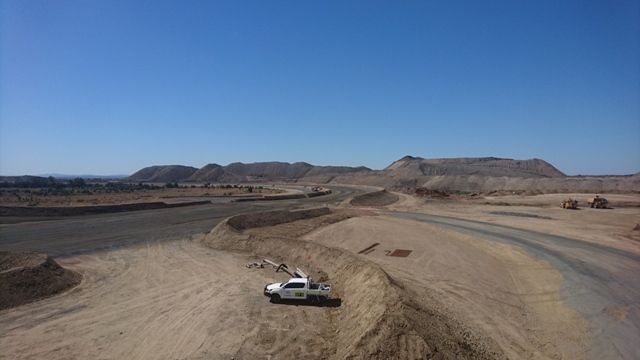 Significant capital cost reductions were able to be achieved through construction by utilising pre-strip material for road construction. 5 km of new light/medium vehicle road. 3 new dams included automated dewatering system. 11 kV overhead power reticulation. 66 kV stubline and transportable sub-station for dragline and shovel operations. Remote facilities area including heavy vehicle parking, workshop, offices and crib rooms. Low voltage power for remote facilities and lighting. Truck fill point with connection to a raw water pipeline with remote operation and monitoring.